The EveryDay Milestone Kit (EDM) was designed to inspire, equip and catalyze you to purposefully engage and create intentional everyday moments in your child's life. Every moment you have with your kids is precious. For those moments in the car, around the dinner table, or right before bedtime, we'll help you make the most of each moment by sparking the right conversation... it all starts with asking the right questions! From questions that provoke deep thought to ones that are just plain silly and fun, the Everyday Milestone Cards will help you ask the right questions at just the right time. It is hard to overstate the power of a hand-written note. Notes are tangible ways to express gratitude and receive encouragement. Take on the 52 week challenge. Write an affirming note to your child every week this year. 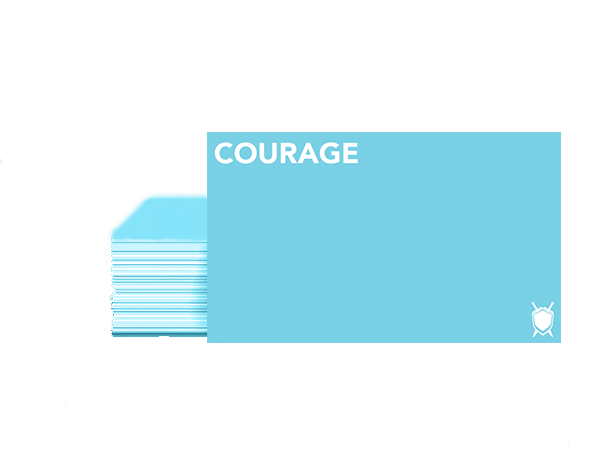 Each notecard contains a different theme to help inspire your weekly notes of encouragement. Just think, in a year’s time they will have a year’s worth of encouraging notes from you, their father! One of the most underrated activities today is journaling — intentionally recording your thoughts and feelings on the things that matter most. We've designed this notebook to be a handy and highly portable repository for you to think, reflect, and capture your best thoughts on life and what is means to be a dad. With purchase of EDM kit, you will receive access to a personal fatherhood assessment and coaching from our friends at BestWork Data. The assessment measures you on 6 spectrums providing you with detailed coaching on how you can maximize your strengths and work on your weaknesses as a father. Get access to our complete collection of "Dad Hacks" — advice from some of the best dads on the planet on ways to take your parenting to the next level. This isn't theory. It's real-world, practical advice you can begin doing today!